I said I was baffled by some things about the book I read before this, Confessions of an Heiress by Paris Hilton. An American Marriage has nothing else in common with Confessions, except that it is also baffling to me--for different reasons, of course. 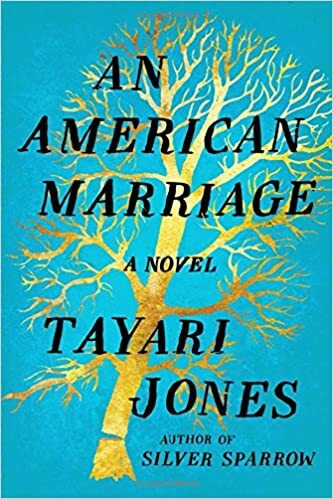 American Marriage is a compelling, fast read, but the two primary characters are hard to love. Hard to even like. It's not like they're deliciously despicable, they're just, kinda, assholes. There's a third character, too--Andre, the best friend of both members of the married couple: Celestial and Roy. I didn't find him as awful as the other two, but he doesn't come out looking great either. It's possible that, given the title, it's America that's awful, not so much the couple. What happens is, about a year and half into their marriage, Roy is convicted of a crime he didn't commit. At least you're mostly sure he didn't commit it. Did I mention they're Black? As an indictment of American justice and racism, the book is solid, but I really need to talk it over with someone. If you've read it, give me a holler!